With the 2010 Emergency Cardiovascular Care (ECC) and American Heart Association (AHA) Guidelines Updates there comes new published science on the use of AEDs on infants and children. Former science [pre-2010 and post-2005] suggested not to use AEDs on infants and to use pediatric pads on children under 8 years of age or under 55 pounds. 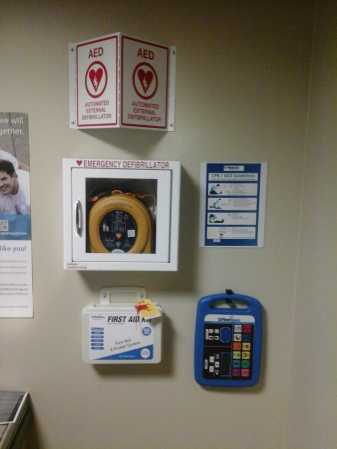 Evidence of this from prior blogs or internet posts includes: http://www.wikihow.com/Use-a-Defibrillator, which contains old outdated information summarized below. NEW GUIDELINES INFORMATION: http://www.heart.org/idc/groups/heart-public/@wcm/@ecc/documents/downloadable/ucm_317350.pdf clearly updates the guidelines to show that it is acceptable to use AEDs and even adult pads on pediatric patients, including infants. The KEY is anterior and posterior placement. For more details, see the information below pulled directly from the recent guidelines update. 2010 (New): For attempted defibrillation of children 1 to 8 years of age with an AED, the rescuer should use a pediatric dose-attenuator system if one is available. If the rescuer provides CPR to a child in cardiac arrest and does not have an AED with a pediatric dose-attenuator system, the rescuer should use a standard AED. For infants (<1 year of age), a manual defibrillator is preferred. If a manual defibrillator is not available, an AED with pediatric dose attenuation is desirable. 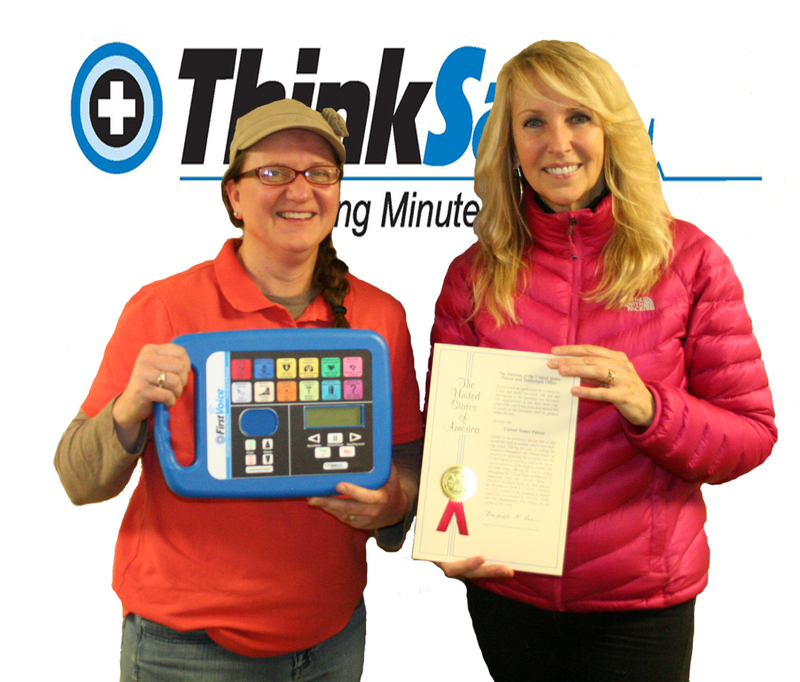 If neither is available, an AED without a dose attenuator may be used. 2005 (Old): For children 1 to 8 years of age, the rescuer should use a pediatric dose-attenuator system if one is available. If the rescuer provides CPR to a child in cardiac arrest and does not have an AED with a pediatric attenuator system, the rescuer should use a standard AED. There are insufficient data to make a recommendation for or against the use of AEDs for infants <1 year of age. Why: The lowest energy dose for effective defibrillation in infants and children is not known. The upper limit for safe defibrillation is also not known, but doses >4 J/kg (as high as 9 J/kg) have effectively defibrillated children and animal models of pediatric arrest with no significant adverse effects. Automated external defibrillators with relatively high-energy doses have been used successfully in infants in cardiac arrest with no clear adverse effects. If you are a school or camp or childcare provider, what does this mean? Until new science [in 2013 or after] is released you should consider looking at your current AED program. Do you have pediatric pads currently? Those will expire in 2 years or less – should you replace them? In these economic times, there are many non-profits and schools who will not have adequate budgetary capacity and it may be a topic of consideration. Due to the new science, strong consideration can be given to this — IF you can accommodate for proper AED use communication to responders or the public who would use the device with ADULT PADS on a child under 8 years or 55 pounds. How do you accommodate? A simple solution: a sticker/decal set that can be attached to your AED case and responder supplies to remind responders on WHAT TO DO for pediatric events. 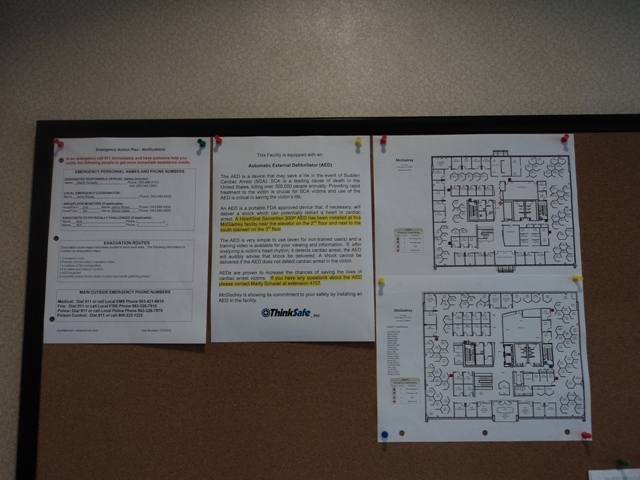 The set includes directions on where to find illustrations with 2010 instructions and how to apply the ADULT pads (complete with pictures) anterior [front] and posterior [back] for pediatric events and why. Call 888-473-1777 for more technical information on this solution. The reason for anterior and posterior placement, simply put, is to allow the pads to shock the heart WITHOUT the pads touching – the surface area of a pediatric victim’s chest is not large enough usually to allow normal ADULT pad placement. Simple directions and illustrations and quick references on the AED, AED instruction manual or guides, AED policy and AED protocols and CPR/AED poster you keep at your facility all will help with communication of this simple change for pediatric vs. adult use. 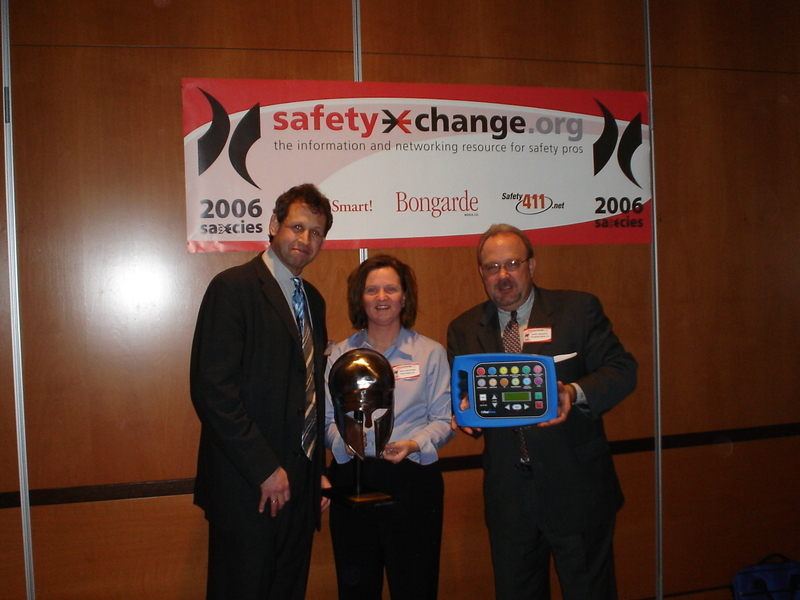 The ONLY exception are customers who have Philips FRx (the ONLY model to allow switching of shock level with an Infant/Child Key inserted into the AED while using the SAME SET OF PADS). Philips FRx models offer a wonderful solution for facilities that want to be able to accommodate pediatric or adult situations without a large CONSUMABLE cost from 2 yr disposable pads for each event. The FRx is a more expensive model with a higher purchase price – however, IF you know you are going to be primarily using the device on pediatric patients, this model would be a leading device to consider. We are here to help! First Voice can provide a sticker/decal/ template set to easily show on your AED and responder supplies WHAT TO DO for pediatric events. The set includes directions on where to find illustrations with 2010 instructions and how to apply the ADULT pads (complete with pictures) anterior [front] and posterior [back] for pediatric events and why. 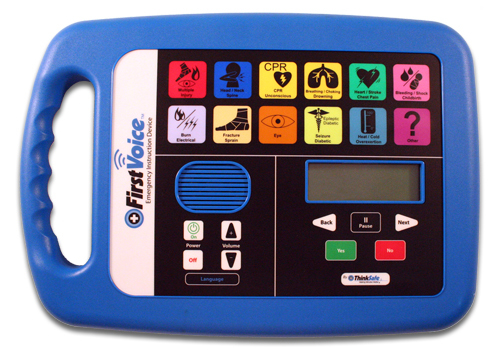 Call 888-473-1777 or contact your dealer for First Voice products for more information – Part number PED-DECAL01. Please provide your AED brand so we can make sure to ship the right decal set. To find out how you can get your AED Pediatric Decal set, fill out the form below! If the video isn’t working, watch it on YouTube. Dr. Donald Linder is an emergency physician at a Top 100 hospital in town and has been in the position for 13 years. Before that he was a paramedic, and has extensive experience in emergency response. Check out ResQr First Aid & CPR Coach in the iTunes App Store! 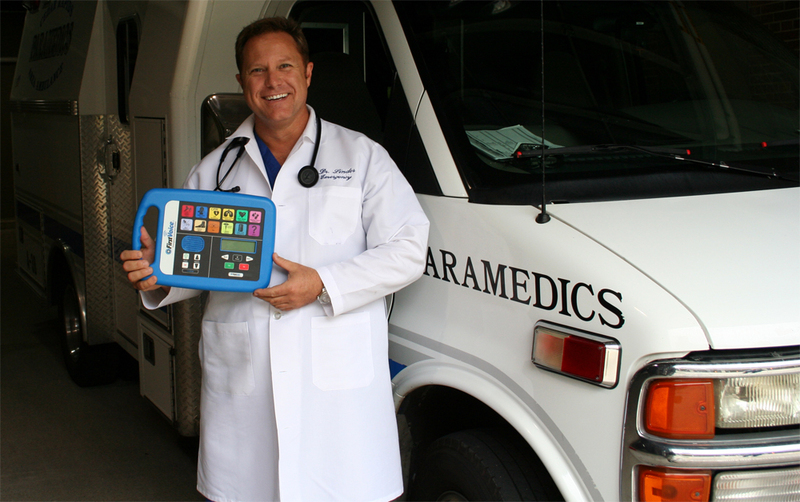 Macworld Review of ResQr First Aid & CPR Coach! On July 14th Macworld released it’s review of ResQr First Aid & CPR Coach for iPhone and iPod Touch, giving it a 4.5 out of 5 mice! Making it as the highest-rated first aid app for iPhone according to Macworld! Only $5.99 in the iTunes App Store! First look at CPR Hero – Our upcoming CPR iPhone app! CPR Hero will be a free app offered by ResQr software in the iTunes App Store soon. This app gives you certified audible directions on administering adult CPR with visual pacing cues! You are currently browsing the archives for the Product Demos & Videos category.